Pebble’s first smartwatch created more than just ripples in the tech industry when it was launched back in 2012. However, with the release of other smartwatches over the years, the initial charm of the wearable has been lost to quite an extent. After introducing the Pebble 2 and Time 2 on Kickstarter in May the Pebble 2 and Pebble Time 2, the company has slightly re-branded the former and launched them for regular buyers. The Pebble 2 without a heart rate sensor is being called the Pebble 2 SE (or Standard Edition) while the variant with a sensor is being called the Pebble 2 + Heart Rate. The Pebble 2 + Heart Rate is priced at $129.99 (roughly Rs. 8,700) and the and Pebble 2 SE at $99.99 (roughly Rs. 6,700) respectively. While the former is available to pre-order in five colours, with shipments beginning this month, the latter will go up for pre-orders soon in Jet Black, and start shipping in November. The Pebble 2 + Heart Rate, as the name suggests, comes with a heart rate sensor that allows you to monitor your heart rate while doing various physical activities. 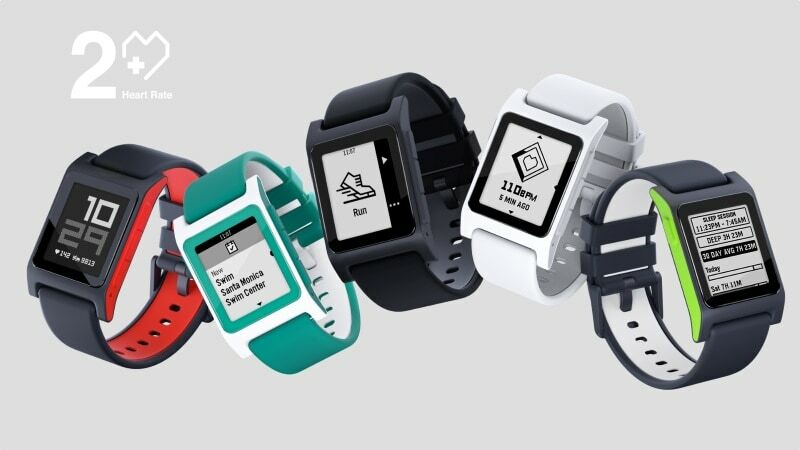 The smartwatch is optimised for use with company’s Pebble Health app and comes with an inbuilt Workout app. “Pebble Health automatically detects long walks, runs, and naps, feeding you a performance summary when you’re finished. Dive deeper into your stats with beautiful in-app graphs. Tap and drag on your mobile graphs for targeted views of your step and heart rate stats at specific times. Sync with Google Fit or Apple’s HealthKit to paint an even clearer picture of your overall wellbeing,” company said in its official blog. The company claims that the battery life on Pebble 2 can last up to seven days, making it possible for the watch to track your sleeping patterns. The smartwatch further allows you to choose the apps that are able to send notifications to your phone. It provides water resistance up to 30 metres. The Pebble 2 SE is otherwise identical to the Pebble 2 + Heart Rate, but forgoes the heart rate sensor.